Raw-Riffic Food: You Can't Put a Label on Your Health! You Can't Put a Label on Your Health! I’d like to start by stating that I truly believe a diet high in raw vegan foods is optimally the healthiest way to eat, if done correctly and tailored to the individual’s physical and personal needs. That being said, I DO NOT believe the label of being “100% raw vegan”, or even “75-80% raw vegan”, is optimal for everyone. You can’t put a one-size fits all label on your health! When I first started my personal journey to find the healthiest way to eat and live (which is an ever changing, ongoing process), I found that eating a mostly raw vegan diet was extremely beneficial for me. In fact, I considered myself a raw foodist for at least 7 years. There were time periods within those 7 years that I was 100% raw vegan, and other times when I was about 75-80% raw vegan. However, as all things in life are, my body’s needs changed. After 7 years of eating and living this lifestyle, I was no longer feeling the great miracle of health I once did. Many of my chronic issues came back stronger than ever. I was finding myself supplementing more and more, including being medicated with prescription drugs. I can’t tell you how disappointed I felt, and how confused I was. I began doing more research, experimenting, and learning more about my own body’s requirements for health. I began to start eating more cooked food, including already prepared food, and eventually I began to eat animal food products again. Although I began to feel better, I became consumed with guilt. After all, I’ve been preaching to friends, family, and readers to eat raw vegan – that it’s the only way to eat healthy. I apologize for that. Health is not black and white, nor is how one eats. It’s all about making the healthiest choices based on the individual’s personal needs for optimal living. Just so you know, I continue to incorporate raw foods in my daily diet. In fact, I still believe that eating minimally processed foods, and eating the freshest food possible, is still the healthiest food to consume. Also, eating a seasonal variety is important. This ensures that you are taking in an abundance of nutrients daily. The quality of the food you eat, knowing what’s in it and where it came from, and how your body personally reacts to the food when consumed are all important when determining the right diet for yourself. Some people can thrive on nothing but high quality raw vegan food. While others, like myself, need to include some cooked food and some animal food products since our systems do not assimilate or absorb the nutrients from the food in the same way. Also, your body’s physical needs change with every stage of life. What worked for you in your twenties won’t necessarily work for you in your thirties, forties, and so forth. 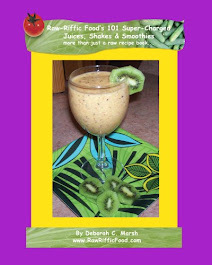 A diet high in raw vegan foods is also the perfect way to carefully and naturally detox the body. It’s great for alkalizing and healing when making a major diet change. 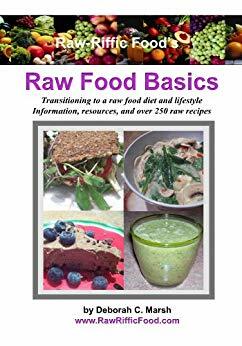 As I stated previously, I do believe that it’s optimal to include raw vegan foods into the daily diet, but as long as the foods you are consuming raw are fresh, preferably locally grown, and is food that does not impact your personal health in anyway because it’s uncooked or “raw” (e.g. chicken). I will continue to keep this blog domain about eating a high raw food diet, and I will do my best to keep it as scientifically fact based as I can confirm. However, no more labels. This is about optimal health, feeling good, and living longer, healthier lives. That’s what I consider living a “raw-riffic” life! To your health! Thank you for continuing to support the Raw-Riffic Food site.